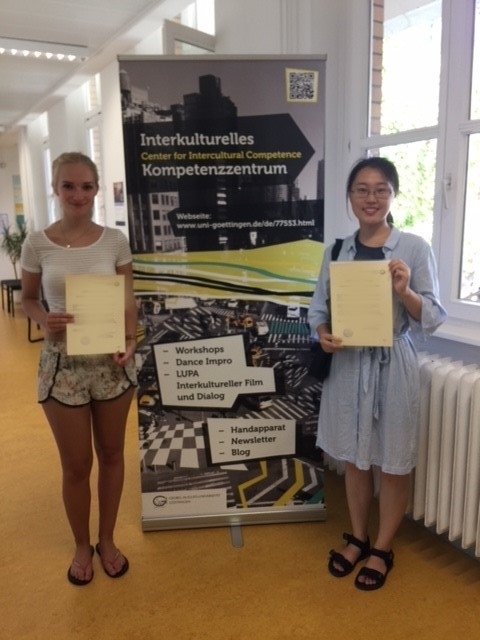 Ongoing processes of internationalization in academic and professional contexts raise the request for training courses on intercultural competence. In regard to that, the certificate „Intercultural Trainer“ offers basic and advanced modules of theory and practice for designing and conducting workshops on intercultural competencies. In the final module and certificate exam „TeamTeaching“ skills and knowledge are combined, so that participants apply acquired know-how within independently created workshop units and reflect on their performances, individually and as team.